I thought it might be cool to get your take on two unusual decor treatments that have come my way. 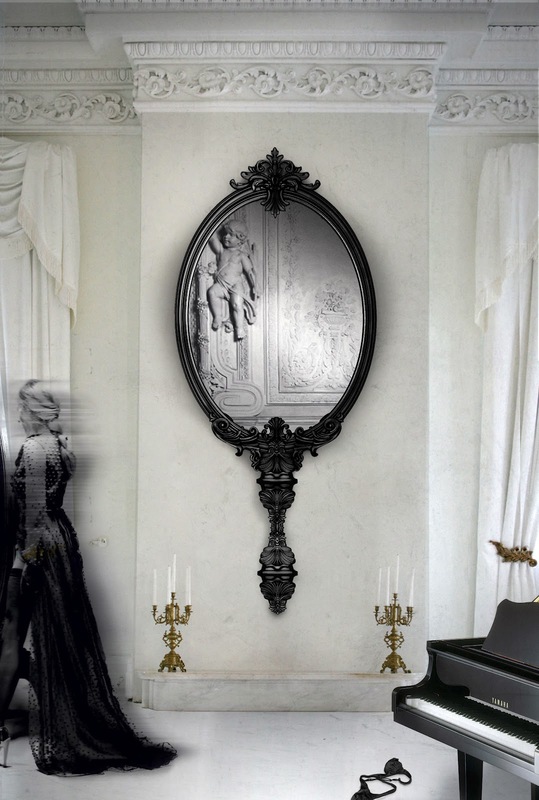 First - the "Marie Antoniete Mirror" by Boca do Lobo. 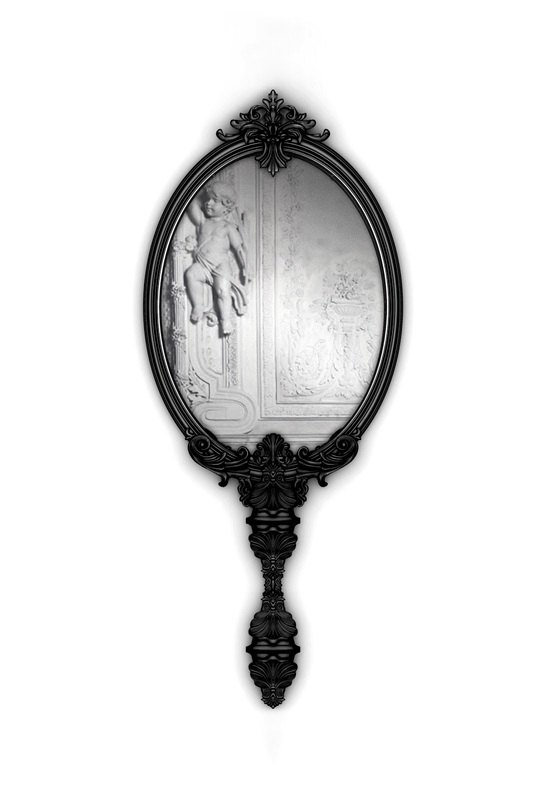 It's an ornately carved wall mirror, which looks like a hand mirror, and ultimately speaks to the largess of Louis XVI's court. Do you like is as an objet d'art? 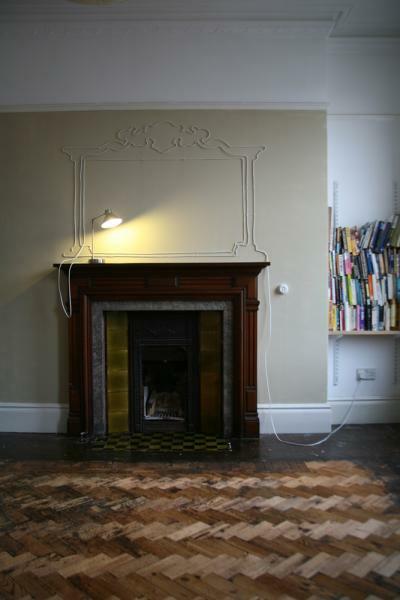 Could you have it in your house? 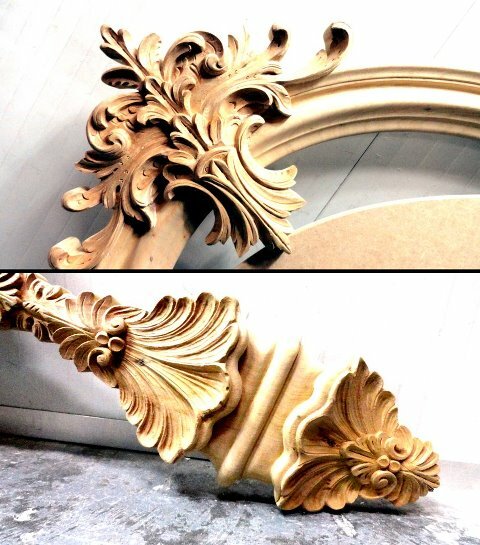 Like it or not - a lot of craftsmanship when into the piece. The next work - If you've ever lived in an old house or apartment, I'm sure you're no stranger to co-ax cable and having to figure out how to deal with the excesses. 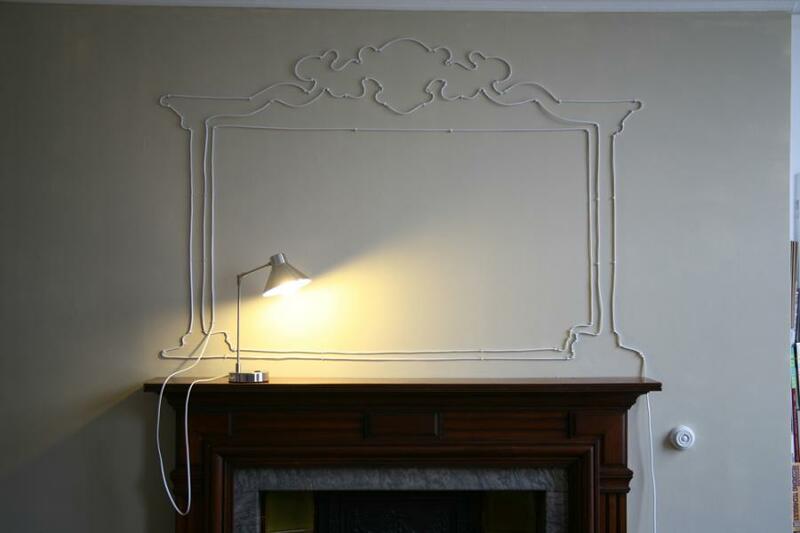 These cable drawings, by Maisie Maud Broadhead, display an artistic approach for dealing with the issue. Her approach actually incorporates a lamp, but I still think it would be just as creative with just excess co-ax. Do you appreciate this as a work of art, but wouldn't want it in your home? I'm anxious to hear what you guys think!